I love butternut, but I despise peeling and chopping it. That is why I joyfully bought pre-peeled and chopped butternut squash from Costco in a handy 2 pound tub. Prep time was instantly reduced by 85% and I could focus on how I wanted to flavor my dish, rather than how to safely peel the squash. 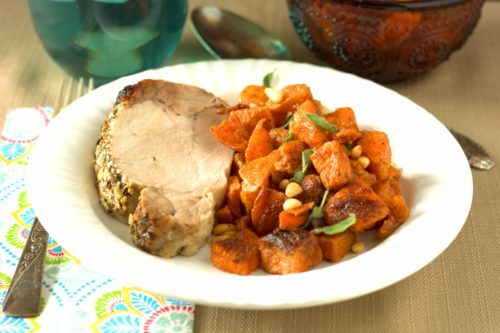 I decided on a simply roasting the squash, while adding a ton of flavor with a dose of garam masala (which is a blend of spices that is typically found in Indian cuisine). To roast the squash, I preheated the pans to set a sear on the underside of the butternut, which is a tip from Stuart O’Keeffe (as published in Optimum Wellness Summer 2017 edition). Once the squash was in the oven, I just had to wait for 40 minutes or so for it to get tender and a nice golden brown color. In addition to the amazing carmelization of the outside, the roasting brings out the natural sweetness of the butternut squash. In fact, you would swear you are eating a sweet potato casserole without all of the added sugar. Preheat oven to 425 °F. Place two roasting sheets (15 x 18) in oven to warm. 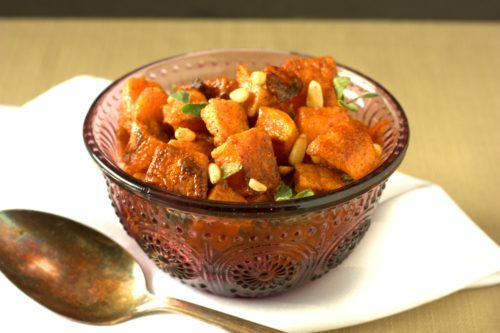 In a large bowl, toss together the squash, oil, and garam marsala, stirring to coat the squash evenly. Carefully remove the roasting sheets from the oven and divide the squash between the two sheets, spreading out the squash on the sheets. 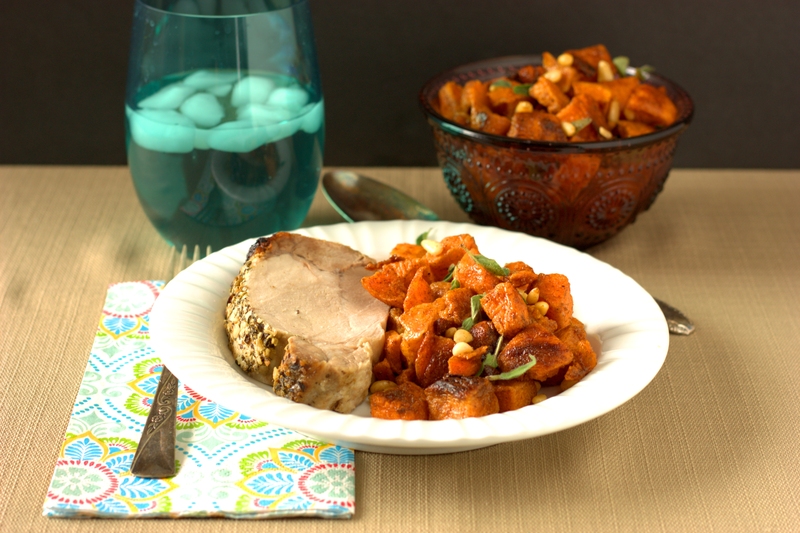 Place the sheets in the oven and roast the squash for 40-45 minutes or until beginning to brown on the outside. Transfer to a bowl and stir in pine nuts and oregano. Serve. This entry was posted in Side Dish and tagged holiday, nuts, vegetables.